I have published monographs and research papers in peer-reviewed journals, book chapters, and contributions to conference proceedings. I have been invited to present my research work at conferences and research institutions all over the world. 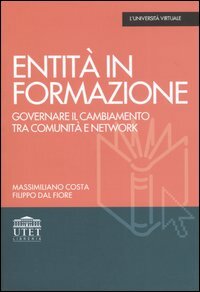 Dal Fiore, F. (2011) Currentcity: sperimentazioni dalle citta’ olandesi e oltre. Girardin, F., Calabrese, F., Dal Fiore, F., Ratti, C., Blatt, J. (2008) Digital footprinting: Uncovering the presence and movements of people from user-generated content, IEEE Pervasive Computing, PCSI-2008-05-0048, October/November 2008, pp. 78-85. Epstein, M., Garcia, C., Dal Fiore, F. (2003) History Unwired. Mobile Technology for Intelligent Tourism and Citizenship, Cambridge, MA: M.I.T. Salzburg (AUS), 05/07/2007, GI Forum 2007 on Applied Geoinformatics, University of Salzburg. Boston, MA (USA) November 2010, Northeastern University, Center for Complex Network Research- Barabasi Lab. Cambridge, MA (USA), October 2007, Urban Information Systems, M.I.T. Cambridge, MA (USA), February 2003, Comparative Media Studies Programme, M.I.T.